Dr. John Russell sits down with Dr. Sanjiv Chopra to talk about five simple actions that can offer many proven health benefits for patients. Dr. John Russell talks with Dr. Sanjiv Chopra, author of The Big Five: Five Simple Things You Can Do to Live a Longer, Healthier Life. They discuss 5 easy changes that anyone can implement to improve their overall health. The book delves into how the underlying promise of every exciting medical discovery, diet, and exercise program is the same: do this, buy this, or eat this and you will look better, live longer, and be healthier. 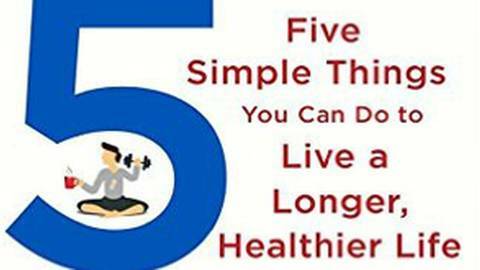 But few books can make the promise of this one: if you adapt these five simple, virtually-free suggestions you will live a longer and healthier life, guaranteed. This is no fad study. Each of the recommendations outlined in this book has been proven by an overwhelming number of tests, trials, and studies to increase health and lifespan. There are no gimmicks, no catches, no ifs, ands, or buts.